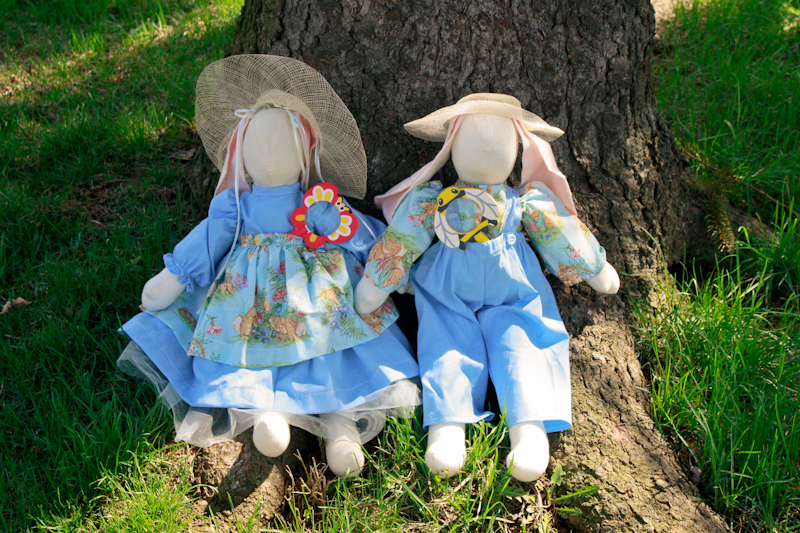 these adorable bunnies were handmade by a professional seamstress on her vintage Singer Featherweight machine. she's been making these bunnies for 20+ years now, and often gives them as baby shower gifts. 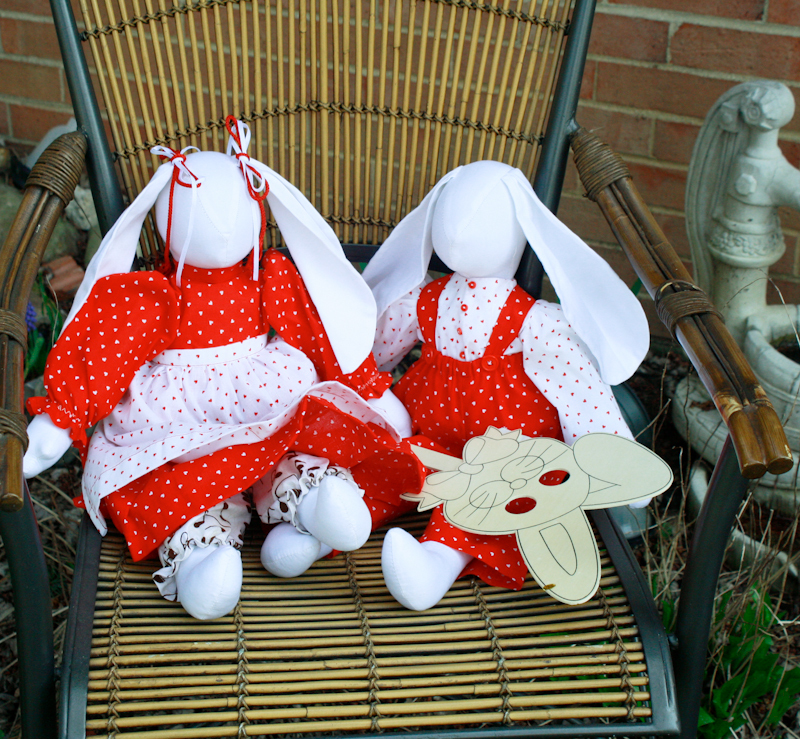 the bunnies are made of natural muslin, stuffed with polyfill. their clothes are regular cottons that were scraps from other projects. they have no faces on purpose. 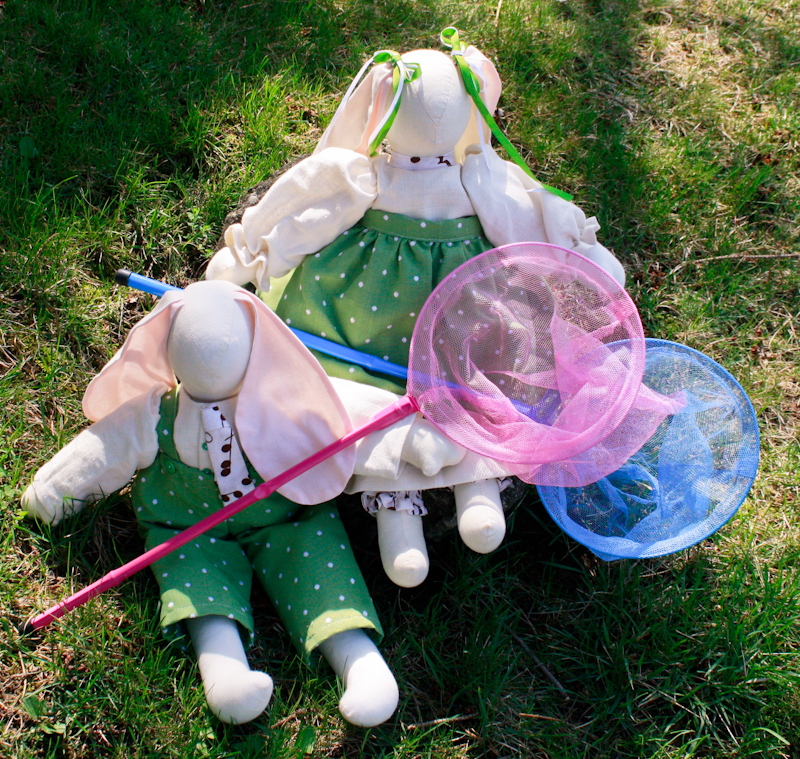 listings are for both the girl bunny and the boy bunny, including pictured accessories. they are shipped in a large priority mail flat rate box via USPS. international shipping is available on request. if you are interested in only 1 of the bunnies, or if you have any questions, please contact us, and we'll let you know. the price for a single bunny is $20.